Two side slits for access. 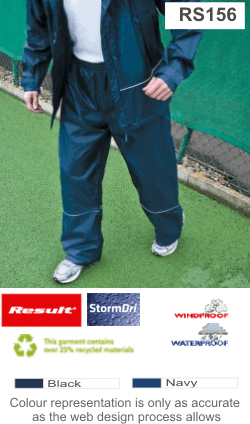 Tres-shield™ fabric is waterproof 3000mm and windproof. 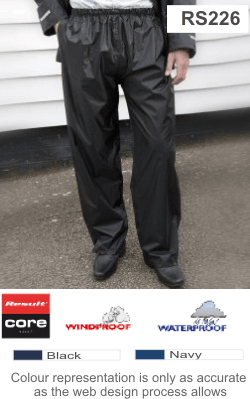 Isotex® 5000 waterproof, windproof and breathable coated polyester fabric. 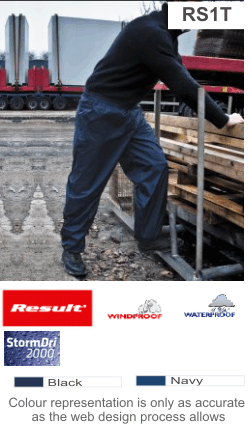 Isolite® 5000 waterproof, breathable and lightweight polyester fabric. 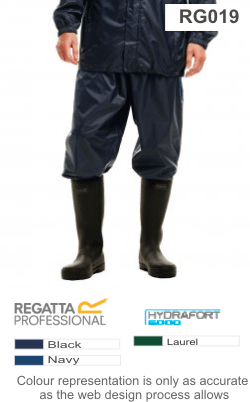 Reflective piping to lower leg. 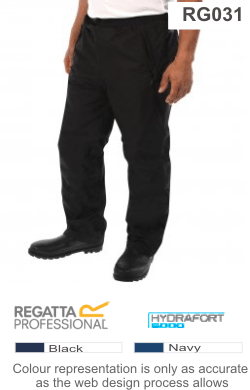 Branding on lower left leg. 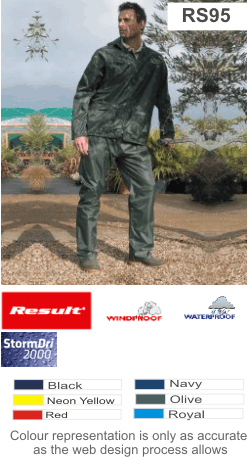 Weatherproof technology - windproof, waterproof 1000mm and breathable 6000g. 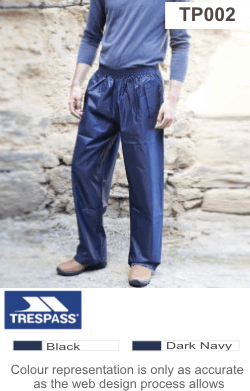 Elasticated waist with zip fly and tear release fastening above. 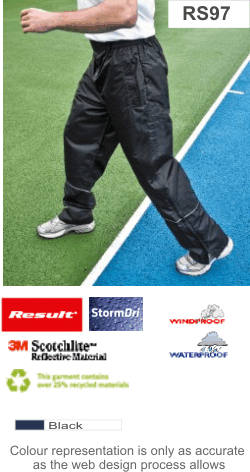 3M™ Scotchlite™ reflective piping at lower legs. Zip opening at leg ends.